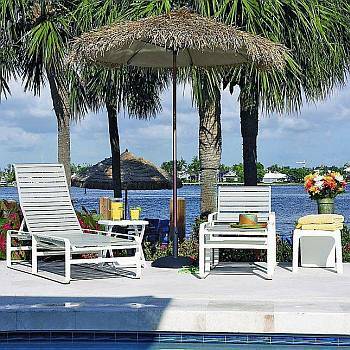 Palapa Tiki Umbrellas are a fun and fantastic way to decorate any pool, patio, or even beach. These umbrellas come in eleven different tropical colors and are made with a Fibrillated Rayon canopy. 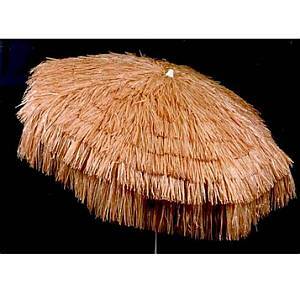 Palapa Umbrellas come in two different style frames- Euro and US. The US frame has a 3 position tilt with the option of a pointed pole for the sand or a bar-height pole for that extra height. The Euro frame comes with a head tilt position and comes only with the pointed pole for easy installation at the beach. 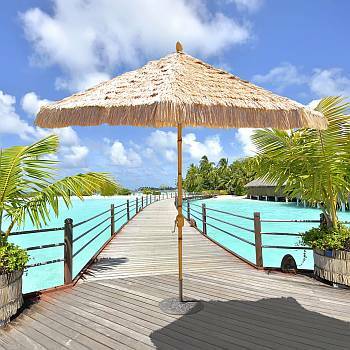 When you think of a Palapa Tiki Umbrella it brings you back to the days of the sand and the sun, well now you can enjoy the beach like atmosphere in the presence of your own home, apartment, or condo. .